Hosting services are an indispensable need of every technology-driven company. Things have reached a point where data centers that offer such services get points for everything from the quality of services to the number of features, customer support proficiency to data backup capabilities. Colocation hosting services, during the last few years, has emerged as a suitable option for companies in India that lack the space, tools, equipment and manpower necessary to set-up in-house hosting, and do not want to bear the cost of dedicated hosting. There are, however, many myths that continue to revolve around the topic. We debunk five of them in this post. Truth – Colocation hosting is not the same as web hosting. 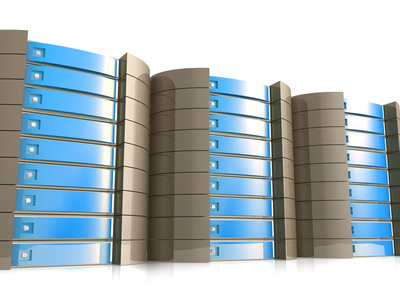 When you rent a shared server to host your website, it is known as web hosting. There are chances of traffic swarms in web hosting as the network, server resources and bandwidth is shared. When you opt for colocation service, the service provider co-locates the server at its data center facility in a safe environment. Truth – No doubt, colocation costs more than typical web hosting or cloud server hosting services, but that does not necessarily mean it is beyond the financial reach of organizations. There’s reasonable additional monthly fee that you need to pay in exchange for using the provider’s space, services and human resources. Truth – The fact that the entire set-up gets sourced from a remote location tends to render doubt in the minds of the people in charge of the operation. The providers of colocation servers take it upon themselves to assure physical and software security support for the servers present at their site. Truth – Naturally, there’s bound to be some uptime between the remote location and the main headquarters of the company in question, right? Well yes, there is, in fact if you don’t look for a reliable colocation hosting provider in India that actually can be an issue. Competent providers, however, don’t offer anything less than 99% uptime. Truth – Scalability is not just possible with colocation, but is actually really easy. You may ask your hosting provider to increase or decrease the dedicated server space they have allocated to your account, anytime. Therefore, you are always ideally placed to address the changing needs of your business. So, these were five of the most common myths surrounding colocation hosting services. You may not face any of these problems mentioned above, if you select a reliable data center for colocation hosting. If you are contemplating to procure colocation hosting in India, feel free to get in touch with us for a no-obligation free consultation, and rest assured you will not have to look for another hosting company, ever again.